Manor Care has been at the center of controversy in recent history, as numerous patients come forward with claims due to negligent or neglectful care. The latest complaint has come in the form of a lawsuit filed on February 3, 2016 by the daughter of a patient who suffered severe injuries while under the care of the chain’s Kankakee center. Included in the allegations is the assertion that the nursing home violated the Nursing Home Care Act, which protects the rights of all patients under the care of professional caregivers and that the negligent actions of the center’s staff were the cause of the plaintiff’s mother’s death. Colleen Bennett claims that her mother, Mary Parejko fell on numerous occasions while under the supervision of Manor Care staff and that her injuries leading up to her death were the direct result of negligence and abuse. Mary suffered wrist and hip fractures in addition to numerous falls over the course of her stay and her daughter claims that the deterioration in her physical and mental condition is directly attributed to the many injuries that she endured while under the facility’s care. She is seeking compensation for the cost of medical treatment as well as for the unwarranted pain and suffering that her mother needed to endure in the months leading to her untimely death at the age of 69. ManorCare is a national nursing home chain that has come under intense scrutiny due to numerous complaints filed against its facilities across the nation. It has been alleged that in order to increase its margins, it often understaffs its facilities to reduce overhead. Senior care experts suggest the consequence of reduced resources and the inability of staff members to truly attend to the needs of every patient. When for-profit nursing chains prioritize profits over quality of care, it is the patient that suffers in the end. The most alarming aspect of the Parejko case is that Mary fell on more than one occasion. 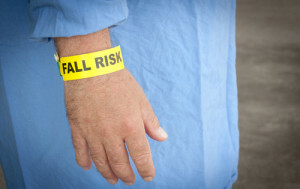 Despite suffering injuries from multiple falls, no measures were allegedly taken to prevent future injuries. Colleen Bennett is also seeking damages on the grounds that the facility failed to meet the conditions of the Nursing Home Care Act and that its actions were both irresponsible and abusive according to published news reports on the litigation. Rosenfeld Injury Lawyers LLC is a leading personal injury law firm that takes nursing home abuse cases seriously. We aggressively pursue justice on behalf of our clients in order to send a message to the nursing industry that such heinous offenses will not be tolerated. If your loved one has been abused or neglected, contact us today to learn more about your rights and legal options. Our award-winning Chicago nursing home abuse attorneys have helped thousands of clients find the justice they need and recover the full amount of compensation they are entitled to. When you contact us, we will arrange a free consultation so that you can learn more about what we can do for you and how we will proceed with your case. If we are unable to secure damages on your behalf, our services will be free of charge.